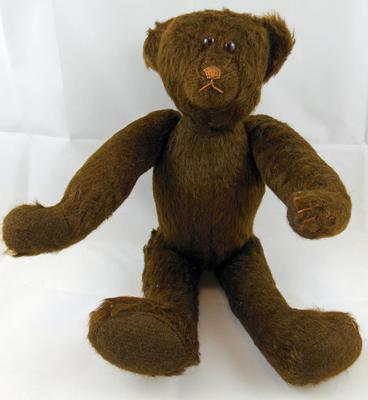 Please Help Me With More Information On Vintage Nona Pebworth Teddy Bear. 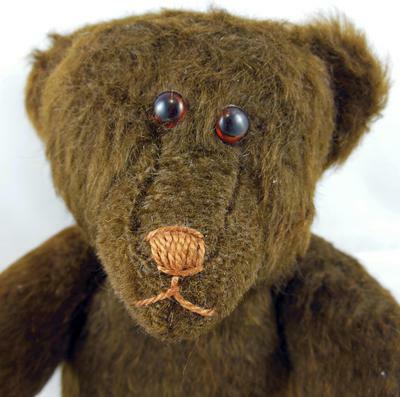 Vintage Nona Pebworth Teddy Bear. 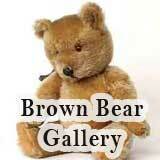 Ear tag of a Vintage Nona Pebworth Teddy Bear. 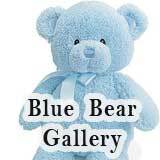 Hello and thank you all in advance for any information you can contribute involving this bear.I recently found this beautiful little hard stuffed bear in a box of mostly full of Steiff bears along with some others. 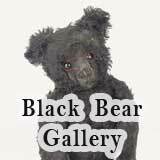 I tried to do a bit of research on my own but could find very little information on antique bears by the artist Nona Pebworth. 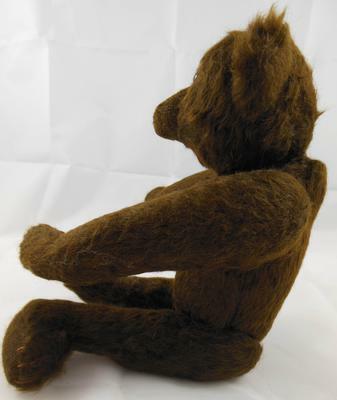 The bear seems to be made of some type of natural Brown animal hair or fur but again I am no expert in vintage bears. The eyes seem to be a brown plastic & are somewhat off center. Her head, arms & legs are all jointed & she stands right at about 13 inches in total height. I also noticed the "hunchback" type feature on the back of the bear. When I found her she also had a tattered & torn white night gown on. The only identifying mark I could find was the tag with the artist name on the bottom. I would appreciate any information or clues about where to look for further information about her or the artist. Possible Era, type of material the bear could be made of, location this bear was likely made and or a possible value of this or a bear like this. Thanks again everyone for your input & have a wonderful day ! 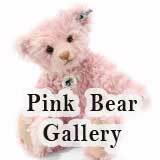 Comments for Please Help Me With More Information On Vintage Nona Pebworth Teddy Bear. 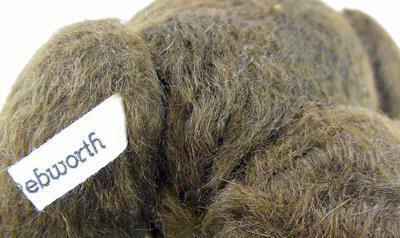 Nona Bears were made of new mohair and antique wool--sometimes cut from old wool coats. The eyes were antique shoe buttons and set close together in her signature style. 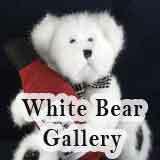 The bears were usually dressed in vintage clothes and named after family members--Nona was an avid genealogist. However, she also left some unclothed. 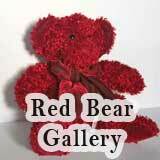 The later bears were fully jointed and stuffed tight--very well made! I grew up on Southwood Dr. and was Nona Pebworth's next door neighbor. I was her daughter's best friend and spent many a day over at her house. She is married, lives in Arkansas, and her husband is Charles Pebworth, an artist who taught at Sam Houston State in Huntsville.